By including ecological concerns in the design process from the outset, architecture can enhance life. Author Brook Muller understands how a designer’s predispositions and poetic judgement in dealing with complex and dynamic ecological systems impact the "greenness" of built outcomes. 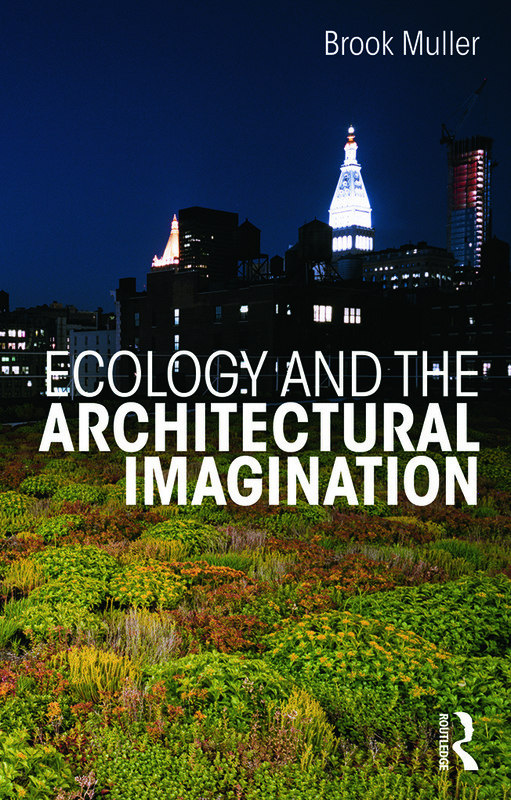 Ecology and the Architectural Imagination offers a series of speculations on architectural possibility when ecology is embedded from conceptual phases onward, how notions of function and structure of ecosystems can inspire ideas of architectural space making and order, and how the architect’s role and contribution can shift through this engagement. As an ecological architect working in increasingly dense urban environments, you can create diverse spaces of inhabitation and connect project scale living systems with those at the neighborhood and region scales. Equipped with ecological literacy, critical thinking and collaboration skills, you are empowered to play important roles in the remaking of our cities.